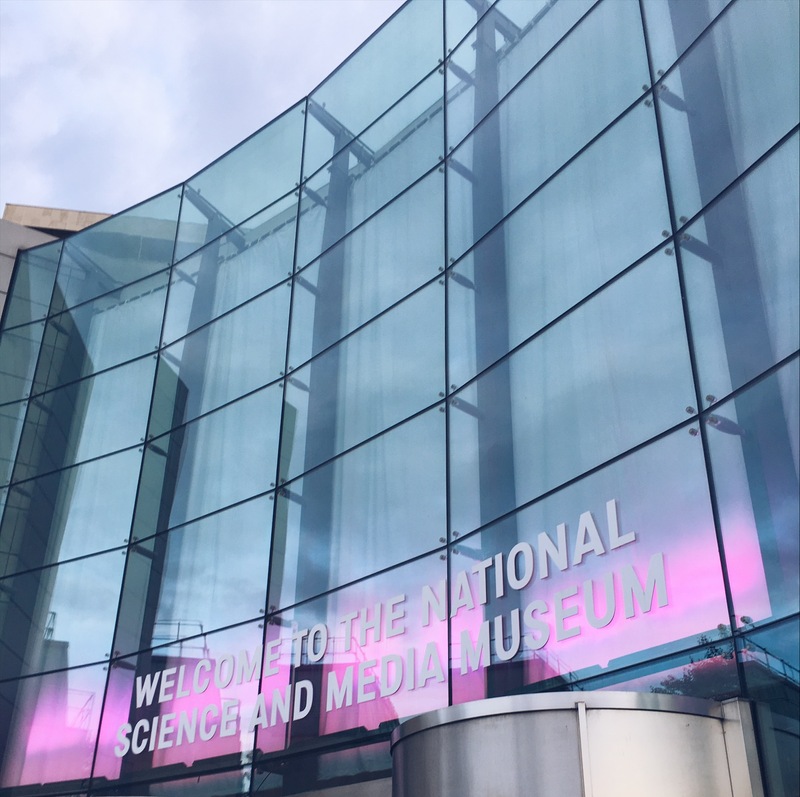 An adult only museum experience, yes please. I like museums but what I kinda hate is that often they’re full of small children interrupting my viewing experience. Sorry. I said it. This is where Lates comes in to play. They’re an 18+ evening at a museum. That way you only have to contend with adults. Who are on the whole a lot less excitable then small children and you don’t trip over them quiet as much. The Science and Media Museum in Bradford runs 4 Lates evenings a year and I went to one with Kevin. We went for a kinda date night. And because we are slightly space obsessed. 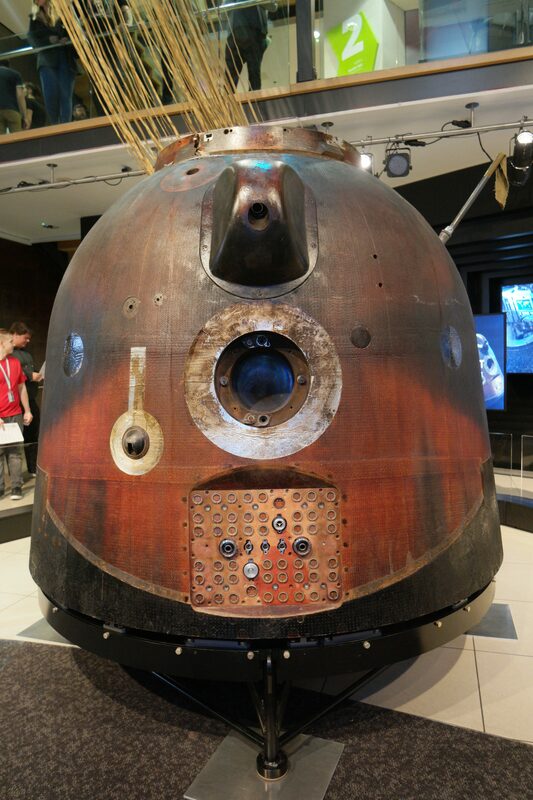 What we really went to see was the Soyuz descent module that Tim Peak returned to earth in after spending 7 months on the international space station. And it did not disappoint, look at this rusty, scorched lump of metal that safely carried 3 Astronauts back to Earth. There’s something magical about space that captivates me. Maybe it’s the exploration? Maybe the longing for a past time when Man went to the moon? There were lots of activities held on the evening, one of these was to watch the Apollo 11 Moon landing on TVs of the era. A group of 12 of us sat huddled around a tiny TV waiting for the Apollo capsule to set down and for Neil Armstrong to step out on to the moon’s surface while uttering them famous words; “That’s one small step for a man, one giant leap for mankind.” It gave me goosebumps and then the room erupted into applause. May favourite moment may have been reliving 1969, Kevin’s was 100% situated in the 21st century. His choice of event for the evening was the Virtual Reality Experience. 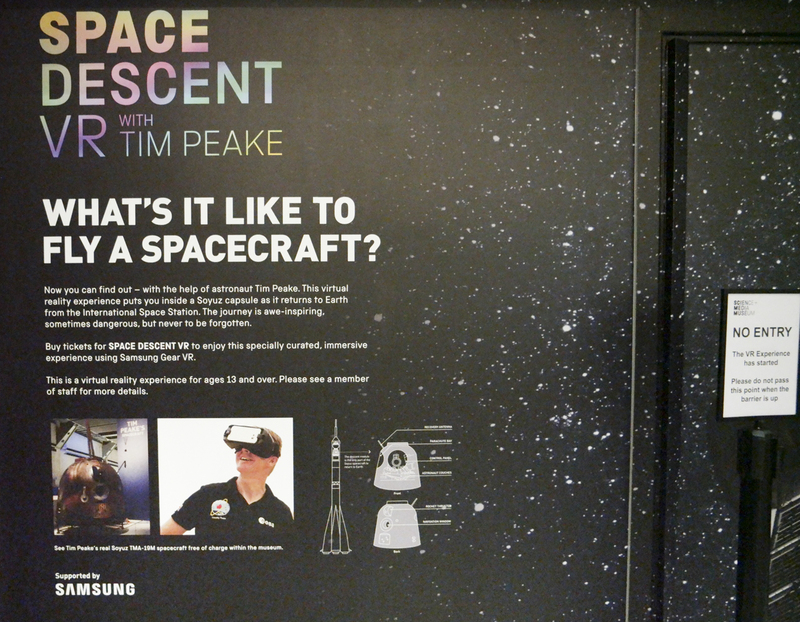 You popped on a headset and it immersed you into the world of Tim Peake and his descent from the international space station to earth. This was the only paid experience of the evening, but at £5 it wasn’t expensive at all. Kevin enjoyed it but said it wasn’t quiet as good as some of the VR things he has tried before at theme parks like Disney and Universal. VR tends to make me a little motion sick, so I saved my £5 for the gift shop! 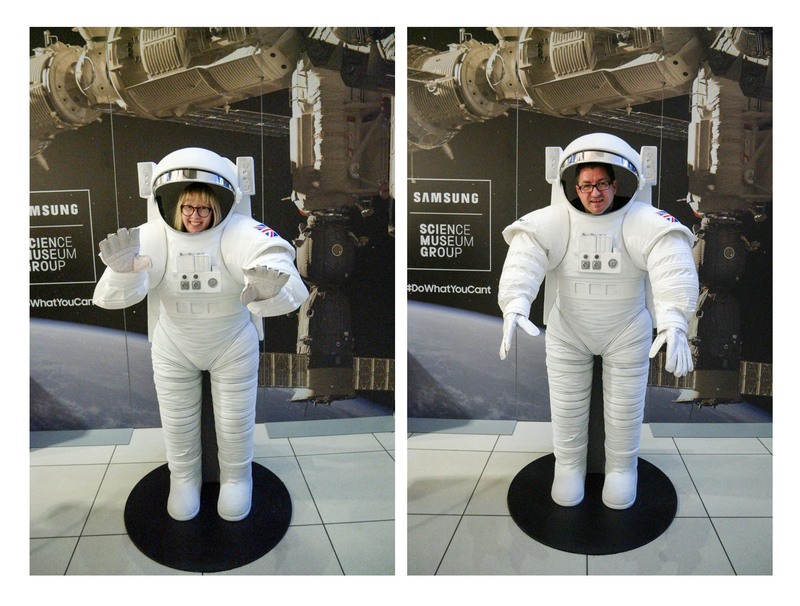 We had a really good night at Lates and I think if they’re held on a subject that I’m interested in, then a trip back to the Science and Media Museum in Bradford will be worth it. There was a couple of events that I didn’t try, making rockets was one. Even though this was an 18+ event this activity felt a little juvenile. I was really looking forward to the stargazing with the Hubble Telescope but the company pulled out at the last minute.